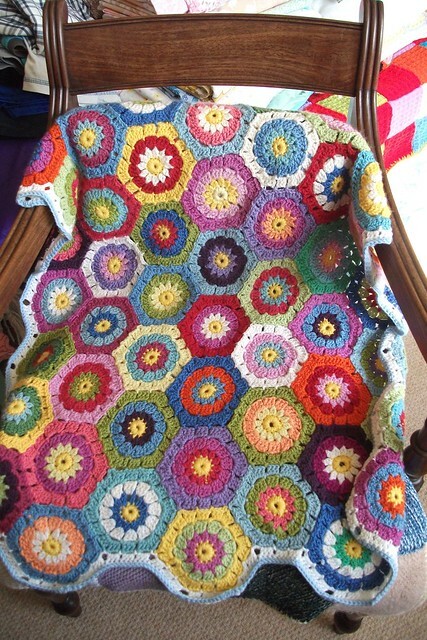 Gorgeous blanket, crochet still eludes me, and what a great heirloom chair. this blanket....I just love it!!! Brava!!! First time visitor to your blog and what a delight! Love the blanket. Such beautiful colour combinations. Gorgeous chair blanket, Heather. Love your colours. Know what you mean about the timing of a project, sometimes you just have to finish right then and there, because then you can work on something else! !